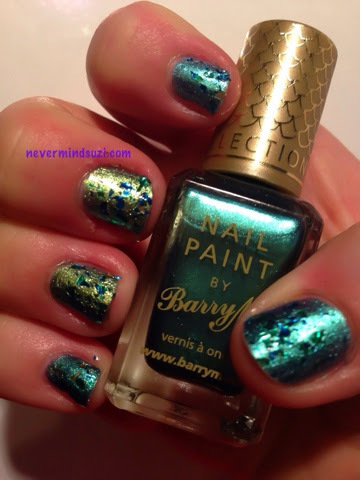 I was chuffed to get my hands on this gorgeous trio from Barry M.
Pacific - is a blue/green duochrome. It had a really good colour shift and a fairly smooth formula. 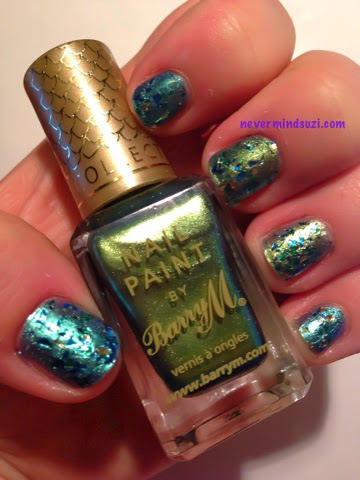 Arabian - is a green/gold duochrome. 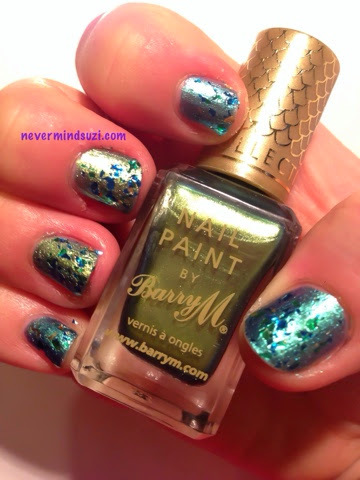 This colour reminds me of fish scales with that rainbow sheen. 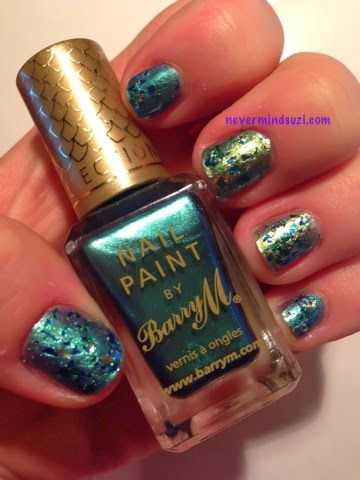 Mermaid is a shard like glitter with blue, teal, black and gold. This is 2 coats. I've shown you my Cinderella hand here too and it helps to show the colour shift. This was a really well thought out trio.